Oh man, it's been almost 4 months since I bought a Megaman port. Time for another one! At this point, I feel less like I'm buying a Megaman game and more like I'm paying for the EXPERIENCE of buying a Megaman game. It's a step forward, I guess. Although given the franchise's less than stellar mobile history I don't expect much. The only thing I hope for is that it's a good game. Capcom are 0 for 3 when it comes to Mega Man on mobile in my opinion. Let's see if 4th time is the charm. Mega Man game being delayed? Welp, it's cancelled guys, etc. What they need to do, as an idea, just...as a suggestion...is create an app that contains all of the mobile Rockman games that have been released over the years that never saw the light of day in the states or elsewhere. I've always figured that'd be a great way for everyone else to experience and own them. In addition to that, just port over Rockman GoGo. There, two games done. Paving the way for more. At some point in my life, I talked to a friend that the 'Rockman EXE Battle Chip GP' had a mobage feel. With the recent merchandising from EXE series, I always thought that they might be planning a Rockman.EXE mobage. They might recycle the Battle Chip GP. Maybe not. Anyway, I hope they make something more enjoyable, something on the level of Fate/Grand Order would satisfy me. Kiss goodbye to your dreams of ever seeing Mega Man X9. Between the upcoming MMX: Corrupted and Variable Zero fan games, I don't think we'll need to worry about that too much. Maybe this game release is April 1.
rockman.exe go, you make a customized net navi (no original characters) and you walk around encounter viruses. delete them earn zenny/chips, battle with your friends/online. there ya go. that would be awesome. To hell with that, doesn't EXE get unjustly blamed enough for being a Pokémon knockoff, you want to add validity to it? 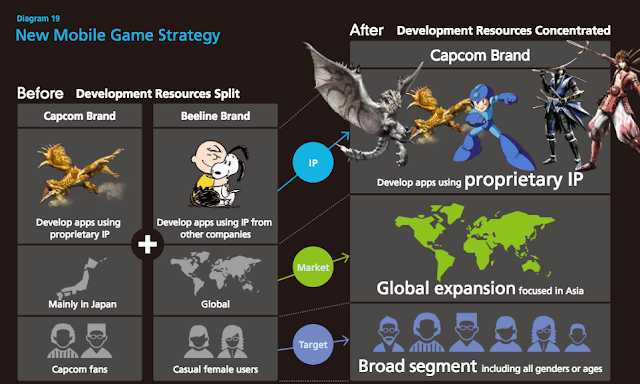 At least we might possibly maybe get a halfway-decent (mobile) Megaman/Rockman game out of it. .........Oh, who am I kidding? Given the recent rootkit SFV fiasco, I'm not even sure CAPCOM can accomplish even that low bar set by XOver. Naruto Shinobi Collection Shippu Ranbu is an example of what Rockman Xover should have been. Instead of only 1 playable character improved with equippable cards, each card is a playable character that can be boosted with other cards (as "food" (EC) or equipments, each with a set number of equip slots). Hopefully the next mobile Mega Man game will be more like that example, with a large cast available. High rarity characters can have 8-10 slots for a variety of equipments (Special Weapons/Abilities/Forms), while the weakest ones (enemies) have only 2 slots. And (for all series) no card games or "temple runs", please. Unless it is somehow good, like an Ace Attorney game similar to Clue? Also, hopeful Capcom won't make "temporary games", which are the worst. The game may be great, but after support is no longer available and the server is shutdown, it is no longer playable, like Rockman Xover and Rockman GoGo. That's why mobile games are the worst. Why waste your money in a game that will only be available for 1-2 years and can no longer be played? If the new games have web connection, it should not be to the whole game. An example is their Zombie Cafe, which can be played offline and only requires to be connected to the server to use a few features, like obtaining free toxin by doing tasks (seeing commercials), participating on events, and using the gacha (the last 2 only in the Japanese version). That's the main problem with mobile games, but if it's not present or only affects a small part of the game (like Wii and DS games no longer having online functions), I can deal with it. How many times does Capcom want me to play those games? I've already played for like million times. Come up with a better idea next time please. I know that they were trying to target the new generation audiences/fans but what about the old generation fans? I really hope that they would remake all MegaMan X games like how Naughty Dog remaking the Crash Bandicoot games.